In France, cows are led in parades on May Day with many flowers attached to their tails. Parade watchers then try to touch the cows hoping to receive good luck. A place to learn French and Spanish online and for Free for English speakers. Practical lessons based on day to day life. Vocabulary, games and activities to learn French and Spanish with the correct accent and for FREE. 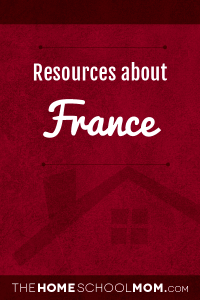 Learn about and meet the people of France. Grades 4-8. Unit on French language and culture: "Young children are fascinated, though sometimes a bit frightened, by cultures different from their own. They are also at a stage of development when it's exciting and relatively easy to acquire new vocabulary." Online Pronunciation and games for practice in French.